Along with five other publishers. Update: Valve has responded to the European Commission's Statement of Objections in regards to geo-blocking games with a statement of its own, refuting the Commission's allegations. "The region locks only applied to a small number of game titles," Valve said in a press release. "Approximately just 3 percent of all games using Steam (and none of Valve's own games) at the time were subject to the contested region locks in the EEA. Valve believes that the EC's extension of liability to a platform provider in these circumstances is not supported by applicable law. Nonetheless, because of the EC's concerns, Valve actually turned off region locks within the EEA starting in 2015, unless those region locks were necessary for local legal requirements (such as German content laws) or geographic limits on where the Steam partner is licensed to distribute a game. The elimination of region locks will also mean that publishers will likely raise prices in less affluent regions to avoid price arbitrage. There are no costs involved in sending activation keys from one country to another and the activation key is all a user needs to activate and play a PC game." The Commission hasn't made a decision yet. 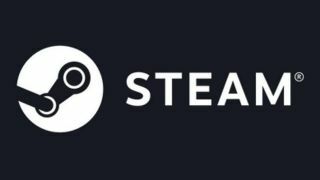 The Statement of Objections is based on its preliminary view, though Valve says the investigation has been going on since 2013. That means Valve and the five other publishers involved can make counterarguments, followed by the Commission deciding if there's enough evidence of a breach in antitrust rules. Original story: Valve and five other publishers may be in breach of EU competition rules, according to a statement from the European Commission. The problem? Geo-blocking games. The Commission says Valve, Bandai Namco, Capcom, Focus Home, Koch Media and ZeniMax have entered into bilateral agreements that stop people from acquiring and playing PC games outside of their region, which is apparently against EU antitrust rules. If you use Steam, you might already be aware of the regional pricing differences. Games in some countries cost less than they would in others, ostensibly reflecting the different economies of the countries they're sold in. Without geo-blocking, people from wealthier countries could net themselves some bargains by shopping elsewhere. The practice of getting cheaper deals abroad is perfectly common, well beyond video games, but there are an increasing number of obstacles when it comes to purchasing items online from a foreign country. The Commission found that 63 percent of websites investigated in 2015 did not allow people to buy from another EU nation. In December last year, a new regulation was put in place to "end unjustified geoblocking online". "In a true Digital Single Market, European consumers should have the right to buy and play video games of their choice regardless of where they live in the EU," said commissioner Margrethe Vestager. "Consumers should not be prevented from shopping around between Member States to find the best available deal. Valve and the five PC video game publishers now have the chance to respond to our concerns." The Commission's concerns go beyond the arrangement the publishers made with Valve, too. Four of the five publishers—Capcom isn't included—apparently broke antitrust laws by including "contractual export restrictions" that stopped distributors from selling PC games outside specified regions, amounting to one or more EU countries. A Statement of Objections has been sent to Valve and the other publishers outlining the concerns in the Commission's preliminary view. It's worth noting that this is a process, and the Commission isn't bringing down the hammer just yet. The publishers can now respond to the objections, giving them an opportunity to make the necessary changes or refute the accusations. Once Valve and co have had a chance to respond, the Commission will then determine if there's enough evidence of a breach in antitrust rules. If there is, the Commission could decide to put a stop to it and make the publishers pay a fine of up to 10 percent of their annual turnover. Sergey Galyonkin of SteamSpy and now Epic estimated that Valve made $4.3 billion in revenue in 2017 just from Steam.